A diagnosis of cancer is definitely a situation where a pet owner is likely to feel powerless and fearful. 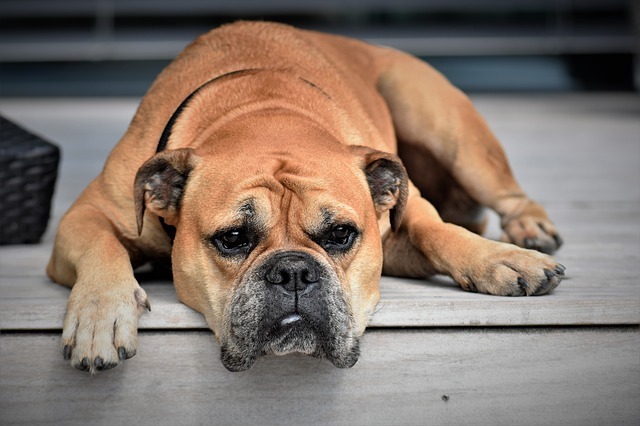 Understandably, concerned pet owners look for a cause why their pet developed the disease and will want to play an active role in the treatment and management of their pet’s condition. Caring pet owners frequently turn to the Internet for guidance but online misleading or biased information is often presented as fact. The media and the Internet are full of advice on what diets should be fed for both pets and people with cancer – foods that should be fed or should be avoided, supplements that may save a life or promote the cancer. Much of the information is contradictory and can make things even more confusing. Unfortunately, our knowledge of ideal nutritional modification during cancer treatment for pets (and people) is still small and while many recommendations can be commonly found, there is little scientific proof supporting them. So, what is a pet owner to do when their pet is diagnosed with cancer? The most important consideration when it comes to nutrition for all pets with cancer is making sure that calorie and essential nutrient needs are met. For most pets with cancer, our goal is to maintain weight, although underweight pets should gain weight and some overweight pets may benefit from losing some weight. Many pet owners feed more treats and focus on making sure that their pet eats heartily after their diagnosis and this can lead to the pet becoming overweight, which at least in studies in rodents and people may make the cancer worse. In addition to calories, nutrients are also important – adding more meat and other foods from your kitchen to your pet’s normal food, or starting to make your pet’s food at home can lead to nutrient deficiencies that can make it harder for your pet to fight the cancer. While many books and websites tout so-called “cancer diets”, there is no evidence that any one specific diet or diet strategy is better than any other for all pets with cancer (or people with cancer, for that matter!). If your pet is maintaining weight and otherwise doing well, there is no reason that you have to change his or her diet. Pets with cancer can be fed home-cooked diets, commercial diets, or a combination. The challenge with home-cooked diets is that unless they are carefully designed, nutrient deficiencies are common. We investigated the nutritional adequacy of home-cooked diet recipes for dogs from the Internet and books and found none of the 27 diets recommended for dogs with cancer met the minimum nutrient requirements that are required for a commercial diet for healthy dogs! For this reason, we recommend that all pet owners interested in home cooking for their pets with cancer consult with a board-certified veterinary nutritionist to have a balanced diet recipe designed specifically for their pet. Some sources strongly recommend raw diets for pets with cancer but these diets could be very dangerous to your pet! It is very important to avoid feeding raw diets or treats to pets with cancer! Raw meat, eggs, and milk carry high risk of bacterial contamination with Salmonella, Listeria, E. coli, Campylobacter, and other potentially dangerous bacteria. Freezing or freeze-drying do not make raw diets safe. While these bacteria can infect healthy pets (and people in the household), pets with cancer may be at greater risk due to alterations in their immune systems. Pets undergoing common types of chemotherapy are particularly at risk as many drugs used for chemotherapy reduce the white blood cells, sometimes dramatically, that are used to fight infections. Concerns over bacterial contamination of food during cancer treatment is not a uniquely pet issue – food-borne infection is also a serious concern in people undergoing cancer treatment. Low carbohydrate diets are commonly recommended because cancer cells rely on sugar as an energy source and in theory, a low carbohydrate diet will decrease the supply of sugar and “starve” the cancer. While this is true in a test tube, improved survival or remission duration for pets being feed low carbohydrate diets has yet to be proven in dogs or cats. Similarly, there is also no proof to support the commonly repeated belief that grains are worse for cancer than other sources of carbohydrates. In non-diabetic animals, the body maintains blood sugar within a narrow range, regardless of the amount of or type of carbohydrate in the diet. The rate at which sugar is absorbed from the gut after eating can vary, however, and it depends on the type of carbohydrates (complex versus simple and the amount and type of fiber) in the diet as well as the interaction with the rest of the dietary ingredients and the kind of pet (dog versus cat). This cannot be predicted by whether a grain-containing or grain-free diet is fed – some diets without grains may cause quicker absorption of sugars and vice versa. Despite the enthusiasm around some products, there is also little evidence to support the use of most supplements in pets with cancer. Moreover, there is little regulation with respect to safety or efficacy of supplements for people or animals prior to marketing. Some of these products may be harmful rather than helpful. Therefore, we are selective when it comes to recommending specific supplements. We recommend products in which there are data demonstrating safety and a reasonable expectation of efficacy based on peer-reviewed scientific studies, safety studies, and/or third-party testing to make sure the product meets label claims with no contaminants. Omega-3 fatty acids from fish oil (DHA and EPA) may be helpful for animals with cancer although there have not been many studies in dogs or cats. Some high quality commercial pet foods have enough omega-3s from fish or fish oil that giving additional supplements may not be necessary and could be too much. Other foods may have very little and supplementation may be desired. When adding fish oil to a diet with lower omega-3 concentrations, be sure to use a supplement that has been independently tested for quality control. and keep in mind the calories and fat that these supplements can add to the diet (fat is 10 calories per gram!). The type of omega-3s likely also matters – common plant-based sources of omega-3s (e.g. alpha-linolenic acid from flax or walnuts) do not have the same effects as the fish and algae-sourced products. Antioxidants are commonly discussed with regards to cancer and are controversial. There is concern that high levels of added antioxidants from concentrated supplements may help protect the cancer cells from radiation or chemotherapy (which often work by creating oxidative damage). However, supplementing antioxidants from whole foods (such as fruits and vegetables) appears to be safe as long as you avoid ones that are toxic to dogs and cats (e.g., grapes, raisins, onions, garlic, chives, macadamia nuts). You don’t need to change your pet’s diet just because he or she has been diagnosed with cancer, but it is a good time to optimize your pet’s nutrition by ensuring adequate nutrient and calorie intake for overall health. It is important to make sure the foods and treats you feed your pet are safe from bacterial contamination, so avoid freeze-dried treats, rawhides, bully sticks, and other similar products. If you are interested in home cooking for your pet, it is recommended to seek out a board-certified veterinary nutritionist rather than following a recipe found online or in a book.